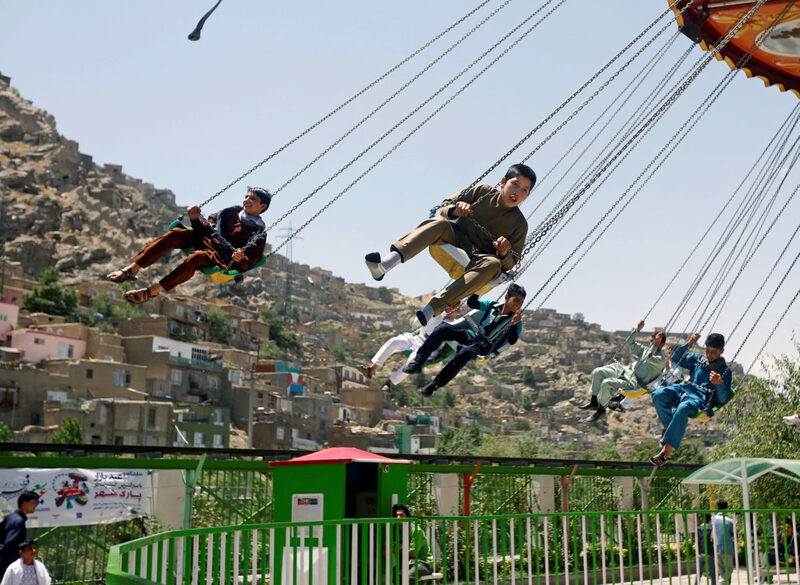 KABUL, Afghanistan — The Afghan Taliban announced a three-day cease-fire over the Eid al-Fitr holiday at the end of the holy month of Ramadan, a first for the group, following an earlier cease-fire announcement by the government. A statement released Saturday by the Taliban said that they would defend themselves in case of any attack. 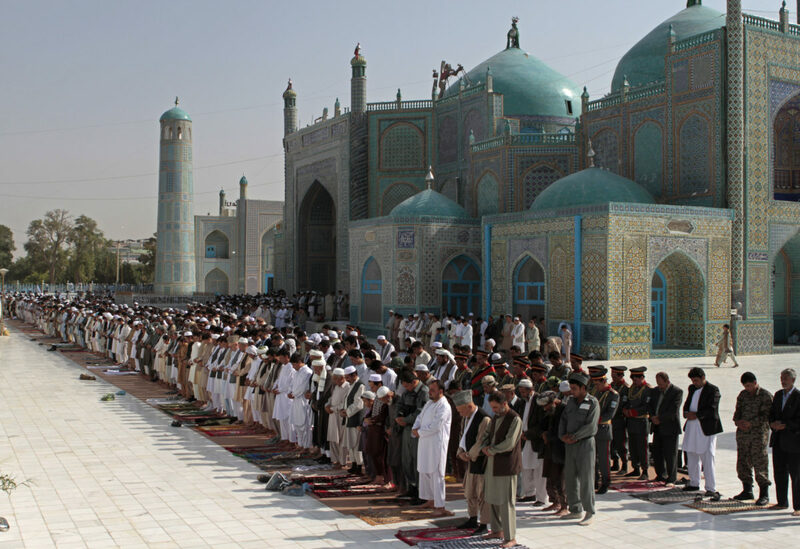 They say foreign forces are excluded from the cease-fire and Taliban operations would continue against them. The statement added that the leadership of the Taliban may also consider releasing prisoners of war, if they promise not to return to the battlefield. Mohammad Haroon Chakhansuri, spokesman for the Afghan president, welcomed the cease-fire announcement during a news conference in Kabul. “The government of Afghanistan is hopeful that this process will become a long term process and will result in a sustainable peace,” Chakhansuri added. 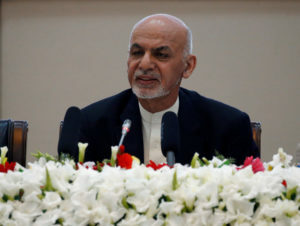 Afghan President Ashraf Ghani on Thursday announced a weeklong cease-fire with the Taliban to coincide with the holiday. A statement sent from the president’s office on Thursday said the government’s cease-fire will begin on 27 Ramadan, or June 12 on the Western calendar, and last through the Eid al-Fitr holiday, until around June 19, adding the cease-fire does not include al-Qaida or the Islamic State group. The palace statement referred to a gathering of Afghanistan’s top clerics last week in which they issued a decree against suicide attacks and called for peace talks. A suicide bomber struck just outside the gathering as it was dispersing, killing at least seven people and wounding 20 in an attack claimed by the Islamic State group. NATO has led international security efforts in Afghanistan since 2003. It wound down its combat mission in 2014 but its Resolute Support mission comprises almost 16,000 troops from around 40 countries. The conflict has been at a stalemate for several years, and NATO’s best chances of leaving lie in the Taliban agreeing to peace talks and eventually joining the government. The Trump administration has sent additional troops to try to change the course of America’s longest war. On Friday, senior U.S. officials said they will intensify combat against the Islamic State affiliate in the country during the Kabul government’s temporary halt to attacks on the Taliban. Defense Secretary Jim Mattis said this could, for example, allow the U.S. to partially shift the focus of aerial surveillance from the Taliban to IS fighters as well as al-Qaida extremists, who remain a threat 17 years after the U.S. invaded. Mattis spoke to reporters during a break in a NATO defense ministers meeting. In the meantime, Taliban insurgents have continued to carry out attacks. Just hours before the Taliban’s announcement, at least 17 soldiers were killed when their checkpoint came under attack by Taliban fighters in western Herat province, said Gelani Farhad, spokesman for the provincial governor. Farhad said one soldier was wounded. He added that eight insurgents were killed and more than a dozen others were wounded in the gun battle in Zewal district. In northern Kunduz province, at least 13 local policemen were killed early Saturday when their checkpoint came under an attack by Taliban fighters, said Nematullah Temori, spokesman for the provincial governor. Temori said seven others were wounded in Qala-e Zal district. Around 10 insurgents were also killed and nine others wounded during the battle, he said. In eastern Nangarhar province, a possible candidate for a district council seat was killed when his vehicle was destroyed by a sticky bomb Saturday, said Mohammad Nasim, Rodat district governor. The Islamic State group claimed responsibility for the attack in a statement posted on its news agency Aamaq website. Nasim said that Ghulam Mohiadin was a district level official for the education department and planned to run for the district council later this year. Both the Taliban and Islamic state group are active in eastern Afghanistan, especially in Nangarhar. In northern Sari Pul, at least six public protection forces were killed after a checkpoint came under an attack by Taliban fighters, said Zabi Amani, spokesman for the provincial governor. Amani said that seven other forces were wounded in the attack late Frday night near Sari Pul city. “Insurgents have set fire to two military Humvees as well as the checkpoint,” he said. He said there was a report of a single Taliban casualty but the group has not commented.